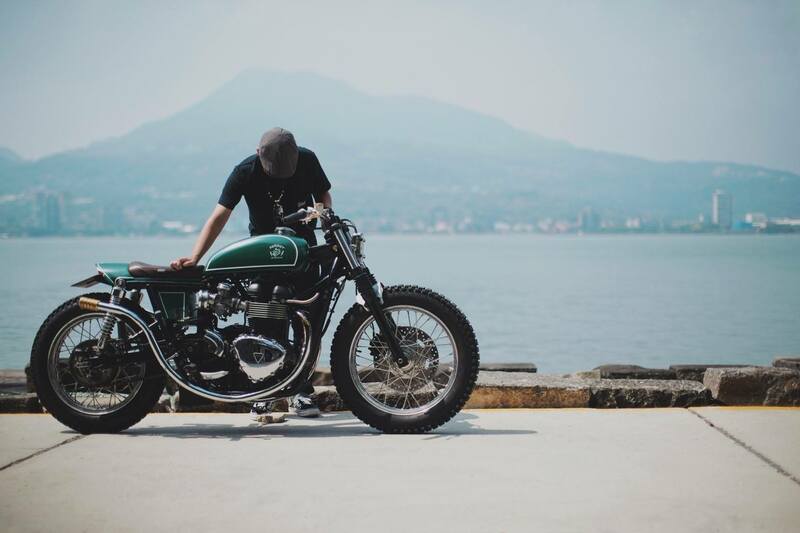 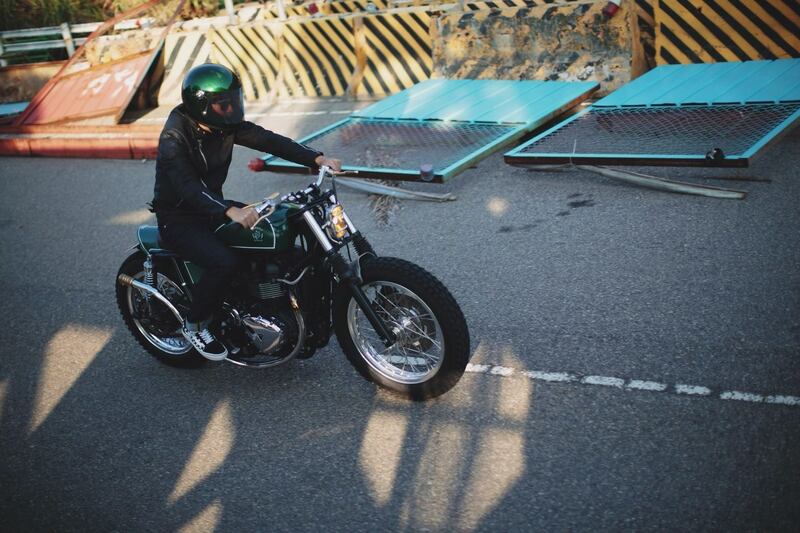 The Japanese custom motorcycle scene has an interesting, individual and recognisable style, one which has influenced bike builders the world over. 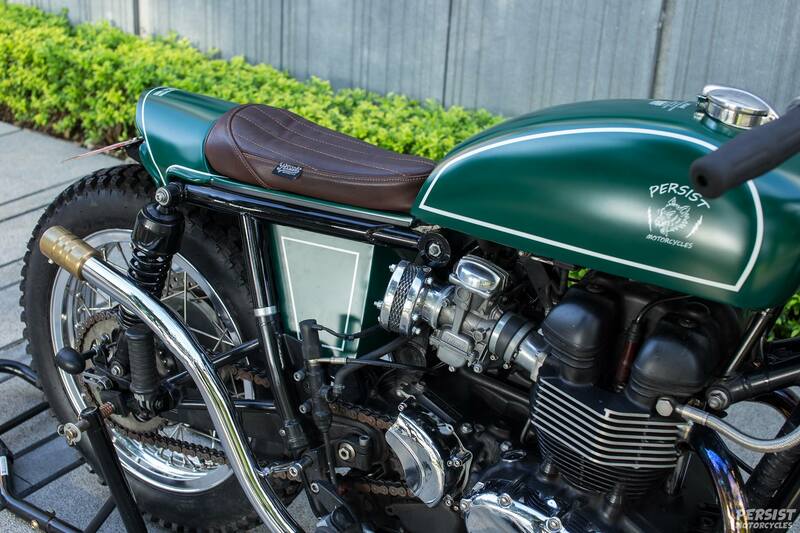 For example; take a look at the two builds Bonnefication featured by legendary bike builder Kengo Kimura of Hiroshima based Heiwa Motorcycles. 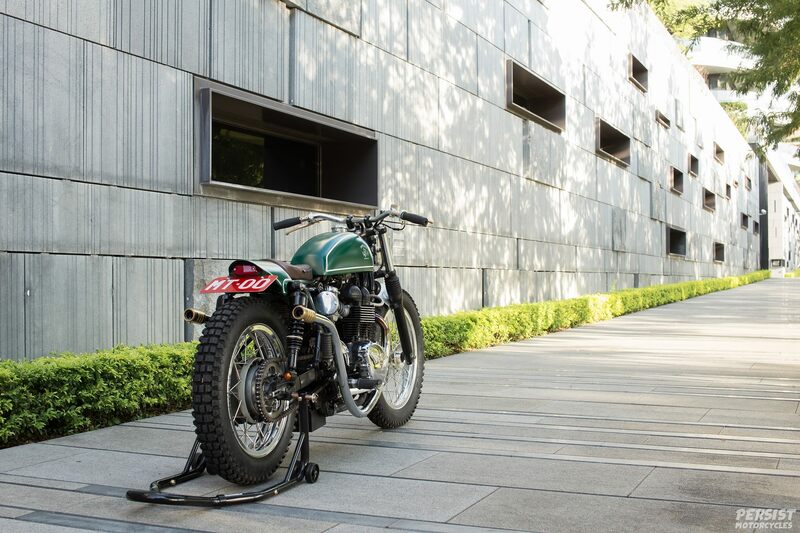 This Japanese vibe didn’t need to reach out too far to influence Lin Dong and the team at Persist Motorcycles, in fact just across the East China Sea to Taiwan, who collaborated with Cowboys Chopper to build this striking EFI Triumph Bonneville T100. 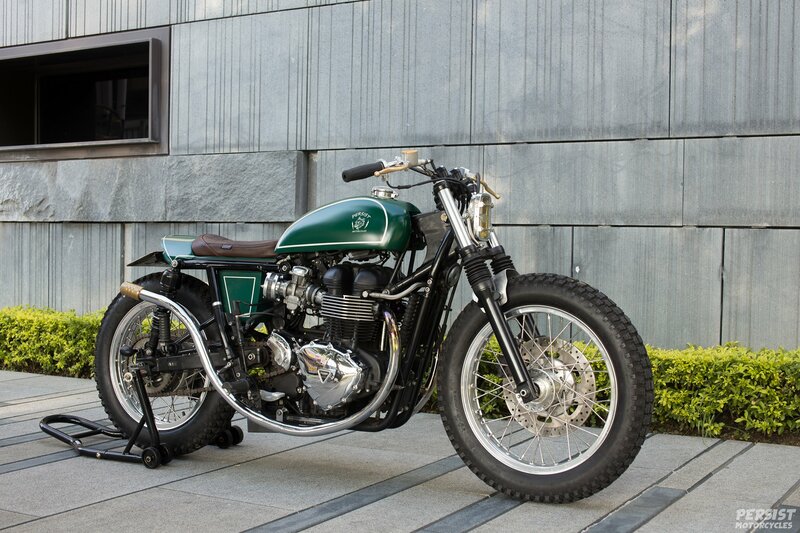 The customer for this Classic Twin is a big fan of the current trend for Bobbers, Scramblers, Trackers and Cafe Racers. With this in mind, the build began with an aim to incorporate a little of each style. 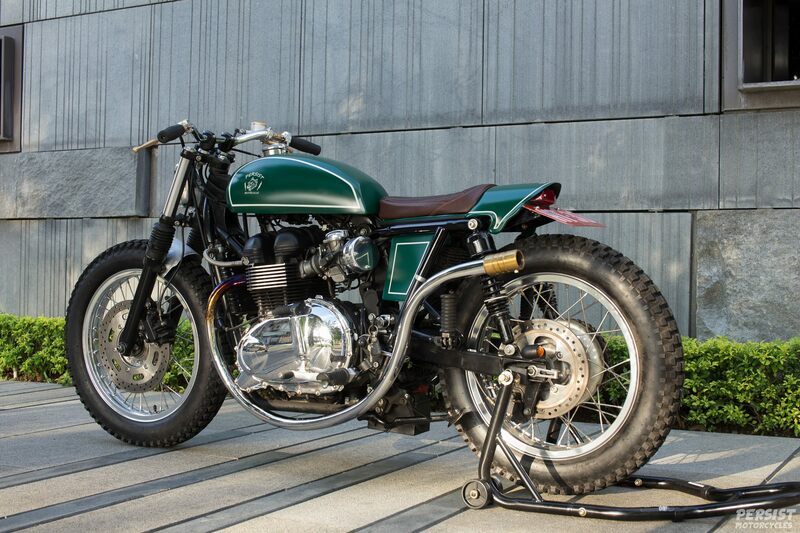 Much like the previously mentioned Heiwa builds, the rear subframe on this Triumph Twin has also undergone some remodelling, a total understatement, as here, it’s been rebuilt to incorporate a quick release subframe allowing this Bonne to swop back to its original seat and rear mudguard configuration when necessary. 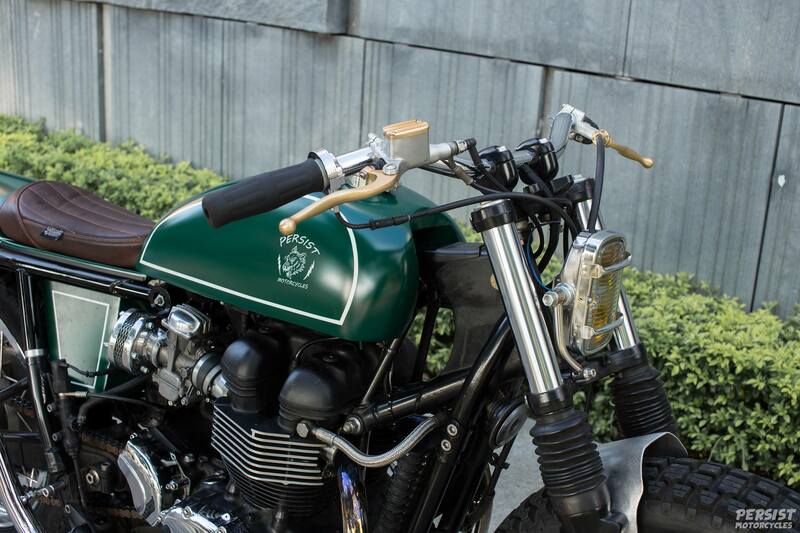 Dropped onto a set of 18″ wheels shod with vintage rubber, this Triumph Twin now wears a new set of tinware including a custom 6-litre fuel tank, side panels and seat cowl all hand rolled from sheet aluminium and custom painted, with the seat being locally upholstered and hand-stitched in rich dark brown leather. 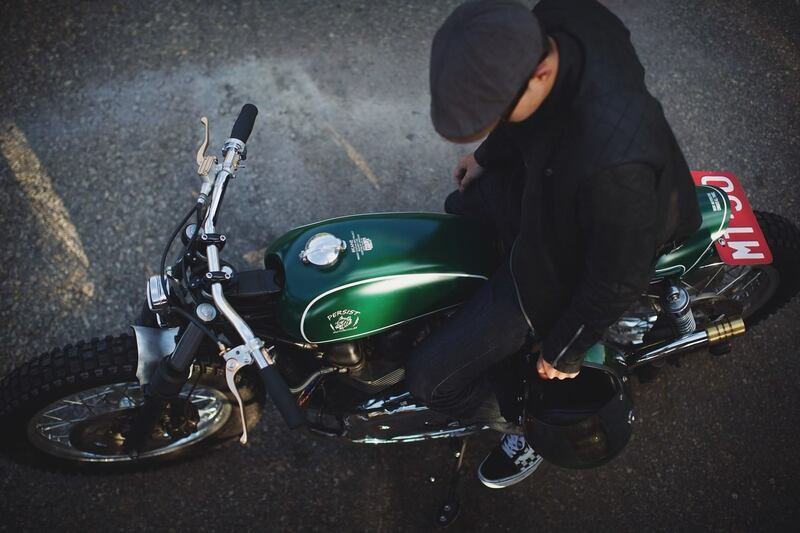 Finishing details include a Lucus style tail light and a Monza petrol cap. 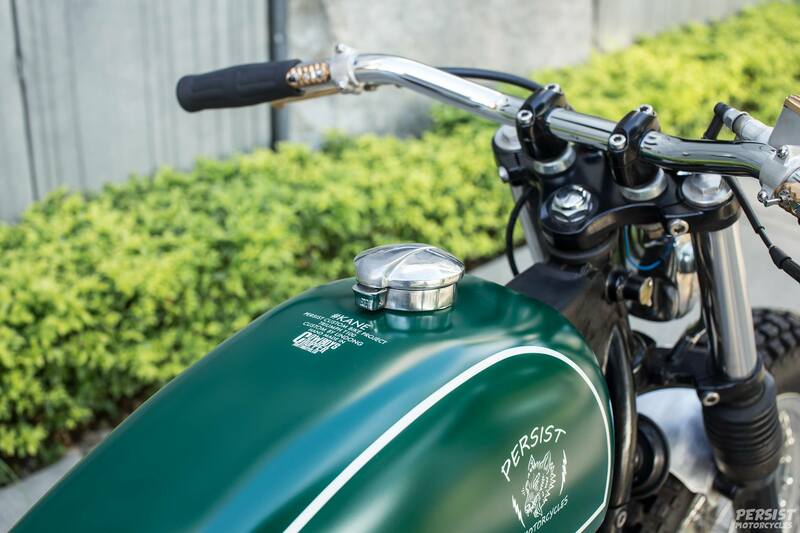 The stock round headlight was replaced in favour of a boxy chrome item featuring single point mounting and a shielded amber lens, which from the front resembles the Kanji character“目” which appropriately means ‘eyes’. 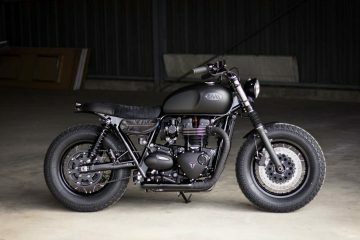 The Bonneville’s new eyes take us past where the huge speedo once lived to the handlebars, lower and wider than stock, fitted with black grips and some very cool hand-made brass switches and levers from Nagoya, Japan-based Motor Rock. 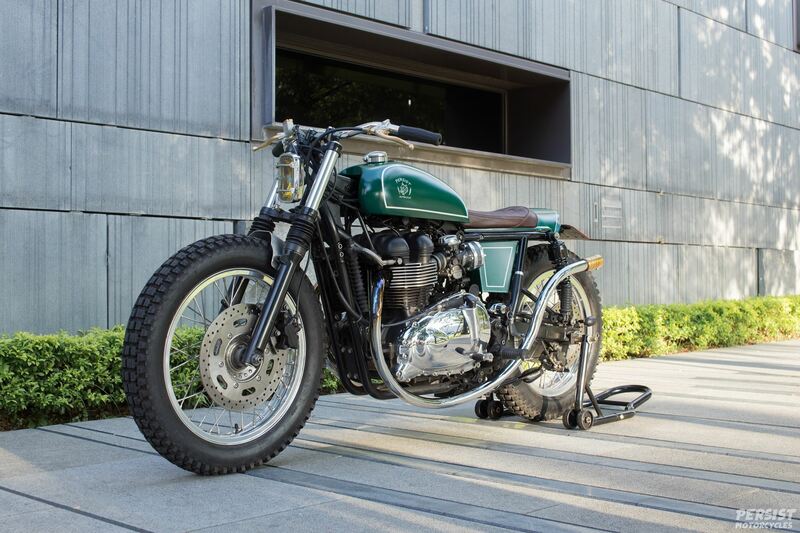 Crafted from individual stainless tubes, heated and bent to sweep their way along either side of this Bonneville T100 and ending in machined brass end caps, is this build centrepiece, an exhaust system which will make this Bonneville stand out in any crowd.